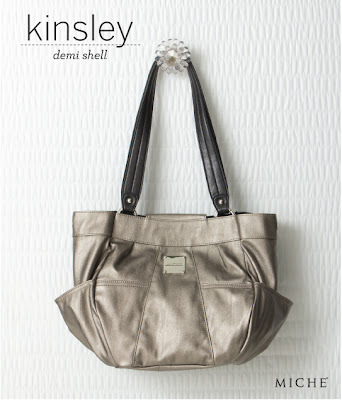 Like the light of the silvery moon, the Miche Kinsley Shell for Demi Bags glows with cool sophistication. You'll feel like a movie star with Kinsley on your arm—whether you're shopping with your girlfriends during the afternoon or dancing the night away. Smooth, soft silver faux leather with top pleating detail, deep side pockets and logo plate.